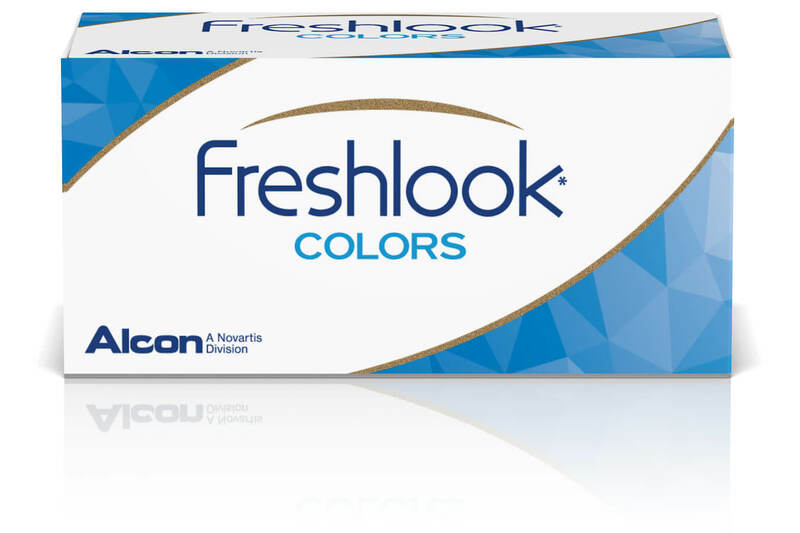 Freshlook Colors are opaque monthly soft contact lenses by Ciba Vision which provide natural-looking color changes for dark eyes. Currently Available in Blue, Green, Hazel, Violet, Grey and Sapphire Blue. These lenses are designed to be worn for one month or up to 30 times over a longer period for occasional wear, as long as they are properly cleaned and handled. No Prescription Required to order. All colors represented are only approximate and may appear different on the eye, depending on your eye color. ordered these in grey on april 1st, is now the 8th. the product is really good have used it before, my brown eyes go a nice natural but striking grey. however when i ordered these i was not told that they were not in stock - when on my orders page it said they werre ordering them in. had a phone call that the wrong ones arrived, i now have to wait even longer they have not even been dispatched yet. really not happy, need a system which tells customers if items are in stock or not rather than having them waiting around for over a week when it is suggested that they will be there in a couple of days. won`t be ordering from here again. Contactlenses.co.uk Reply - We have taken this comment into account and are going to update our system to show accurate stock levels when ordering. Sorry for the delay and we hope to avoid this in the future! Excellent Lenses - Gray is an amazing colourway! I`m so pleased with the Gray lenses I`ve just received. I have mid-brown eyes and they show up brilliantly and still look as natural as I`d hoped. Be prepared for dramatic colour change with these! I`m definately going to re-order, perhaps even try a different colour too. I would recommend these on darker eyes and also to opt for the Freshlook "Color" range rather than colourblends for dramatic effect and impact. I bought the lenses because I tried Freshlook Colorblends and I discovered my eyes are too dark so I bought these Opaque lenses. Cons: The colour is nothing like the photos on the internet infact its more of a grey colour than a blue colour and since these are for dark eyes I was hoping the colour would be right. I ordered contact lenses Friday (yesterday) at around 11 am, expecting them to arrive on Monday. But they've arrived at 8.10 am this Saturday morning. I have gone for cheaper contacts (don't know how good they'll be) but i have saved about �40 from other sites, i have gone for cheap lenses though. Really happy I don't have to wear my glasses this weekend! Lovely colour, but printed letters on the lenses? Love the colour of these (have been using the FL colourblends & love them), but when I opened up the box there are black(?) letters printed on each lens. Not good enough on a light-coloured lens. No way I can wear them so unfortunately they are going back. Lovely colours and they look natural but striking at the same time. I have been getting the lilac ones for years (they last ages if you look after them properly) and people always comment on how nice they look. I have also tried the green and light blue ones and these look really natural but also obviously and realistically change eye colour. My natural colour is greeny-brown and these lenses both complement and alter my eye colour. If you know your prescription they correct vision just as well as ordinary contacts.